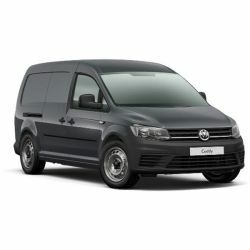 The smallest of the Commercial Vehicle line-up, the VW Caddy offers a huge range of options for those who desire the space of a van and the handling of a passenger car. Available in five variants, the Caddy looks great and fits in perfectly with your home and business life. Don’t be fooled by its small proportions; the Caddy Maxi Panel van offers a 4.2m3 of load space whilst the Maxi Life allows enough room for seven passengers.